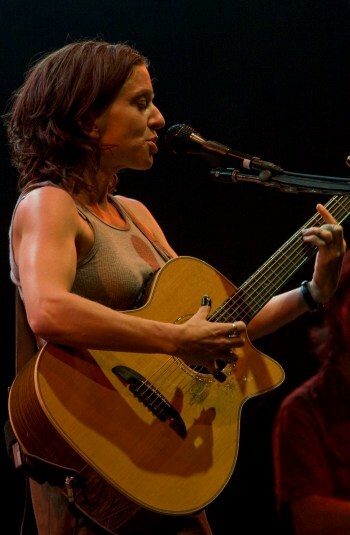 Ani DiFranco has become a name increasingly synonymous with artistic expression, political involvement, independent thought and freedom of personal choice. Breaking away from the major record label industry in the early ’90s, the then-starving artist started Righteous Babe Records and began releasing album after album of independent music. Almost two decades later, Ani finds herself with an arsenal of studio albums, hundreds of poignant songs, thousands of cheering fans and a smile on her face. favorites – Anticipate, Shameless, Evolve, Present/Infant, Little Plastic Castle and Both Hands. SheKnows: So, you are in the thick of a hot and humid New Orleans summer right now. Aside from the heat, how is the city treating you? 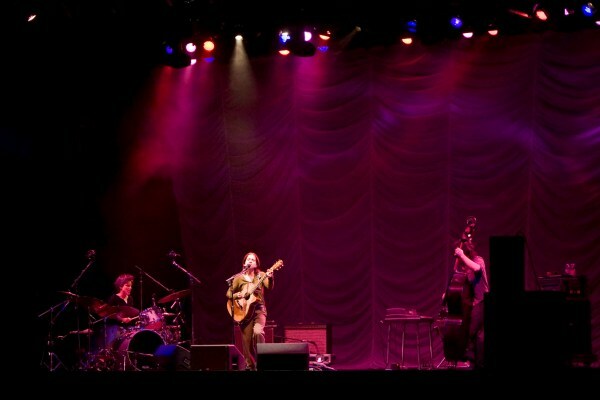 Ani DiFranco: New Orleans just fills me up personally and musically – it is such a rich place culturally, spiritually, and architecturally – all the things that I love. though the folks here know trouble like nobody knows trouble. It got me inspired to do the same. For a musician; it’s one of the best places in the world to live. SheKnows: What a little haven – a perfect place to be creative. You are currently working on recording a new album, is that correct? approach is being applied in this album as well. To you, how is the sound different from your other recordings? I have gotten a lot less practice at. Over the years I have made records, not just quickly, but alone. (laughs) I mean totally alone. And it is like, “Okay Ani, how was that? less regret in the long run. SheKnows: Recording this way is a different experience – physically, mentally and musically, I’m sure. Ani DiFranco: Yeah, much more relaxing really. I mean, all of my deadlines along the way have been self-imposed. Ani DiFranco: Oh, I have a little baby. SheKnows: You do have a little baby. Is that Petah? She is about three-years-old now, right? Ani DiFranco: Almost. She’s two-and-a-half. SheKnows: Has she received any mix tapes from her mom yet? xylophone. We have some good times…good jams together. SheKnows: Do you practice new material on her? Ani DiFranco: When she was a baby, I could play with her around and she would just hang out, but now she’s not into that. growing and just being in life? “what the hell.” These days I feel like I have a lot of things stacked on my side right now. Not against me but for me. Up next…Ani speaks about her new husband, Righteous Babe Records and being brave.